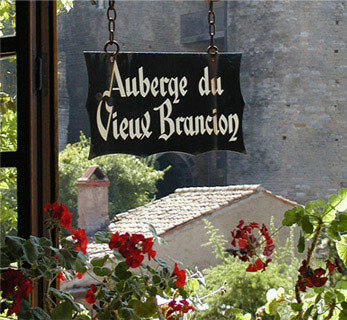 Located in the heart of the medieval village,” Auberge du Vieux Brancion “welcomes you every day from March 15th to November 15th. For a very quiet and relaxing stay, we offer you six different rooms, each with charming, authentic and friendly atmosphere. You will be able to have lunch or dinner in the Auberge and to choose from simple brasserie menu to traditional Burgundy menu. You can come to celebrate a family event by booking a special menu; the spacious dining room with character can accommodate 70 persons. For you to enjoy the tranquility of this beautiful medieval village, the calm, and sunny days, stop by and relax on our outside terrace for lunch, for a drink, snack, tea, or crepe in the afternoon and for a long and soothing evening diner. * Room rates: from 36 to 75 Euros. * Menus from 14 to 27 Euros. * Bar and patisseries in the afternoon with an outdoor terrace. For reservations or information call +33.3.85.51.03.83 or use the contact page of the site.